Taste and smell freshly roasted coffee and you’ll forever be hooked. Coffee just roasted in the last few days is quite a different taste experience. Most coffee is months old before it even reaches the customer. Giving Bean freshly roasted arabica coffee emits sensuous aromas that fill your room even before you open the bag, but wait 'til you do! You'll notice the fresh roasted difference just from the aroma alone. Giving Bean ships online coffee orders the same day they are roasted so your fresh roasts arrive at your door in only 1-3 days from roasting date. It remains “fresh”, with proper care, and is fresher than 99.999% of coffee available on gourmet coffee shelves at fine grocers, and even in fine coffee shops. 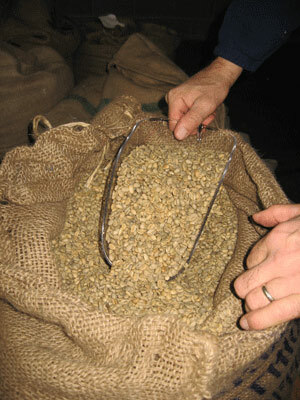 Freshness counts in coffee, just as it does with breads, fine pastries and so many other foods. Enjoy the difference, and thanks for helping our fundraising partners! Great Coffee - Great Causes!